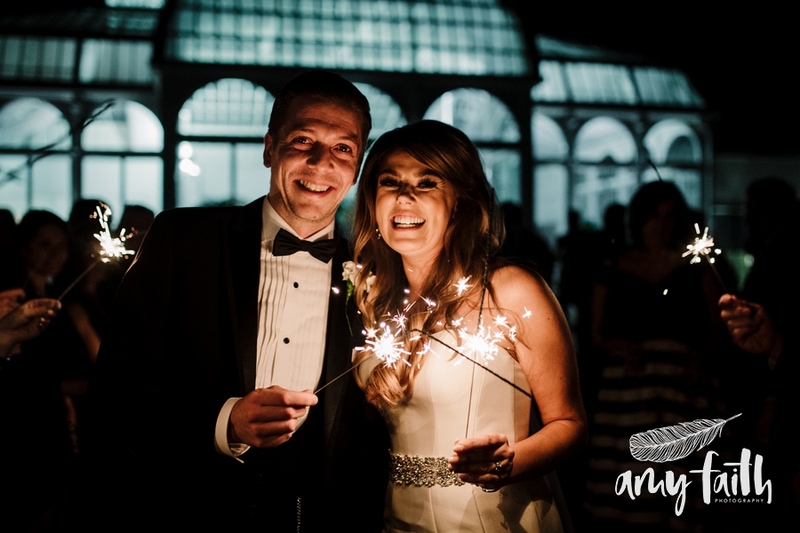 That is a sparkler fantasy of grand proportions! In reality, a sparkler shot is 100 SPACIALLY UNAWARE DRUNK PEOPLE BRANDISHING STICKS OF FIRE! 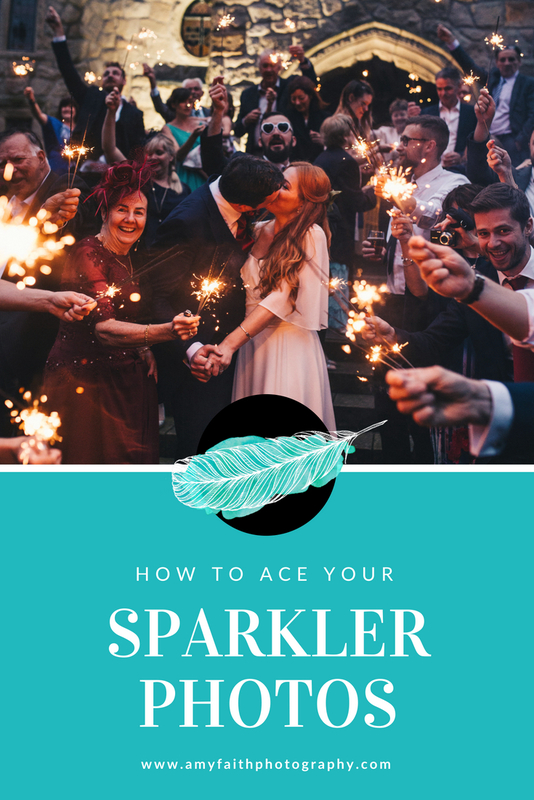 So in this blog I will be listing all of my tips & tricks to shooting successful sparkler images, warning you about what can (and does) go wrong, and let you in on the hilarious reality of it before your big day. 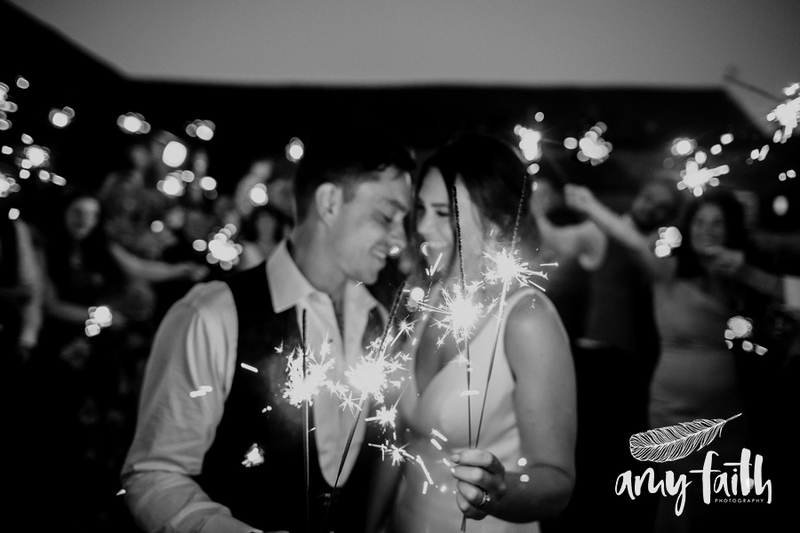 I have a love/hate relationship with sparkler shots – mostly because it takes SO long to organise, however the pay off can be MONUMENTAL. There’s no point ordering normal length sparklers that kiddies use on Bonfire Night – make sure the sparklers you are ordering are LOOOONG. 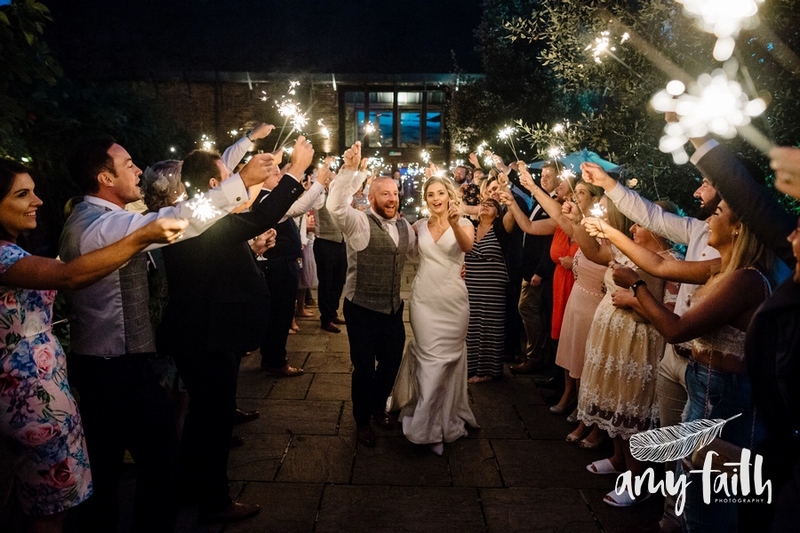 You want them to stay lit for a decent amount of time so your photographer doesn’t have a heart attack when they realise everyone’s sparkler is dying before you have even lit your own. 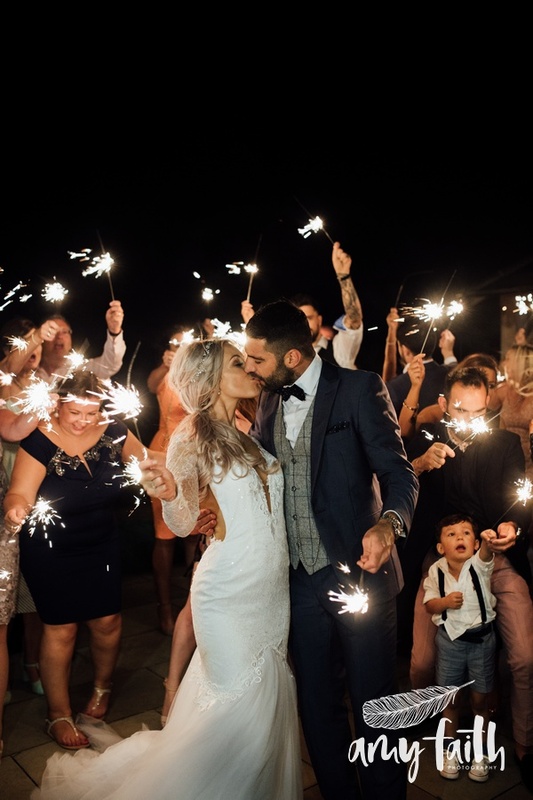 Most sparklers come in a packet of 3-5, so the best thing to do is to remove all of the packets and have the sparklers standing in a container ready for your guests to grab one or two each. You could ask your wedding co-ordinator from your venue to do this during the wedding breakfast. 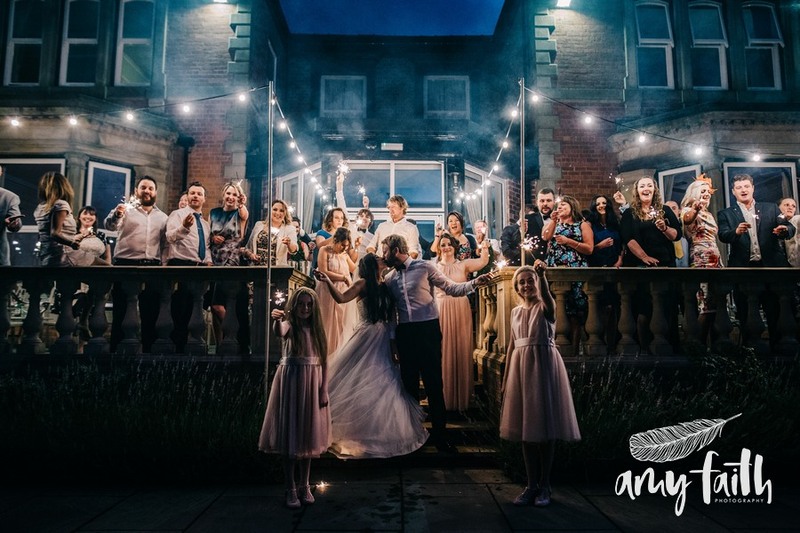 If you did it the day before there could be time for the sparklers to go damp or, even worse, accidentally ignite themselves, and you don’t want to be faffing around with de-packaging them on the morning of the wedding yourself. 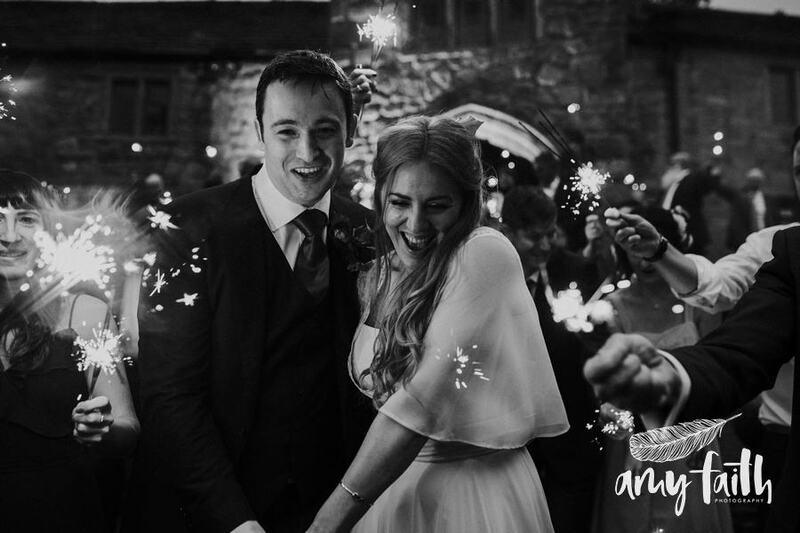 This is probably my absolute TOP TIP when it comes to arranging successful sparkler shots – BRING LOADS OF LIGHTERS. Not many people still smoke these days, so you’re going to get nowhere by trying to light 100 guests sparklers from a handful of half empty lighters. You can find 10 packs of lighters from Pound World or £Stretcher or even Home & Bargain – for 100 guests try and pick up at least 5 of these 10-packs! 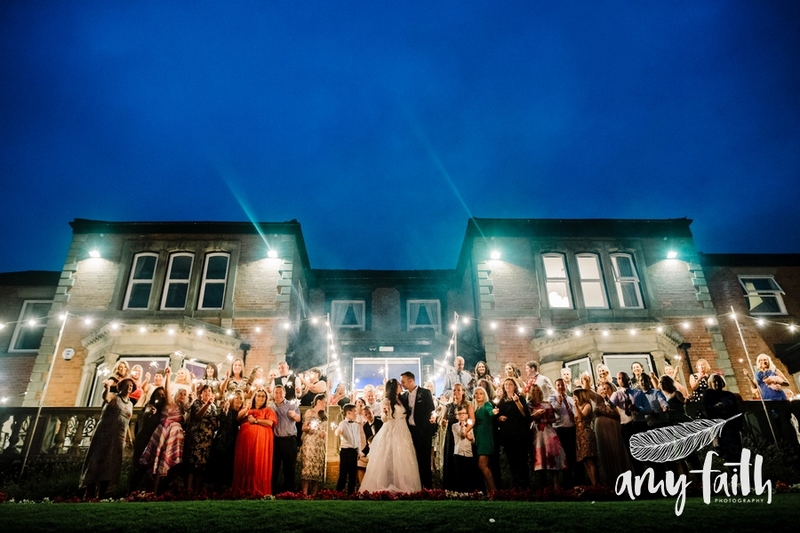 It may seem like a bit of a waste of money as you might not even use them again, but hey, the same could be said about anything you buy for your wedding day! The point is if you want something to be done gloriously and have photographic memories that will last a lifetime, you have to do the correct amount of preparation. And guuurl, 10-pack of lighters from £Stretcher will not break the bank and they will be the magic key to those “faaaaabulous” sparkler shots. 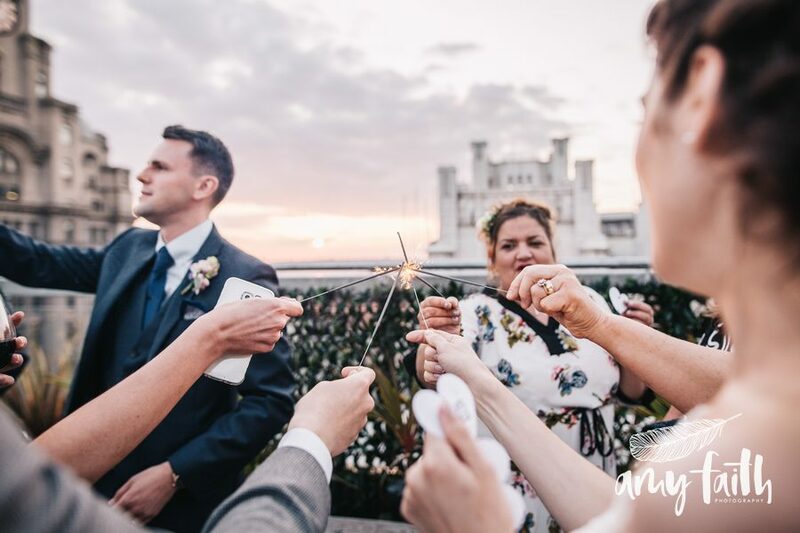 You don’t need looooads of people for a sparkler shot to look amazing, sometimes just the bridal party will do. 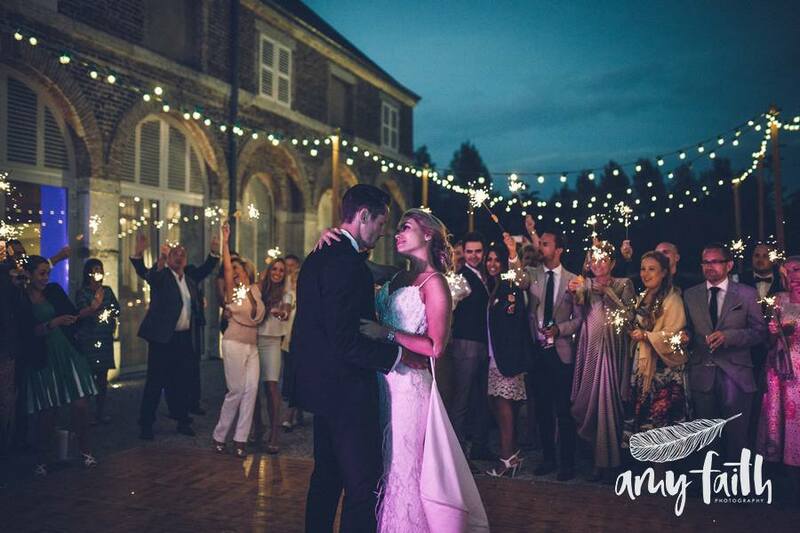 However if you want all of your guests to be involved (there is no point doing it straight after your first dance while people want to boogie, nor is there any point doing it while your band are in the middle of a set, and definitely do NOT do it just as the evening food is being served – food always wins!) 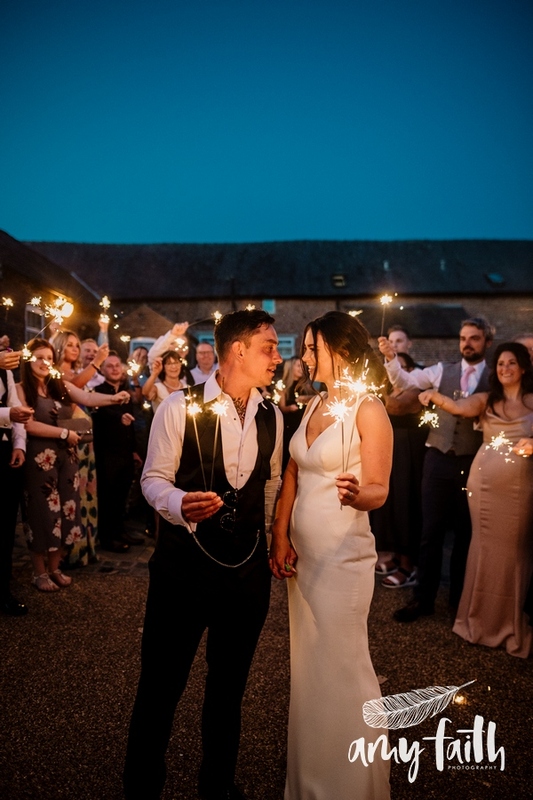 So find a moment in between all of that and get your Master of Ceremonies (or your band/DJ) to make an announcement over a microphone that sparklers will be happening just outside. As long as you head straight out there, people WILL follow. 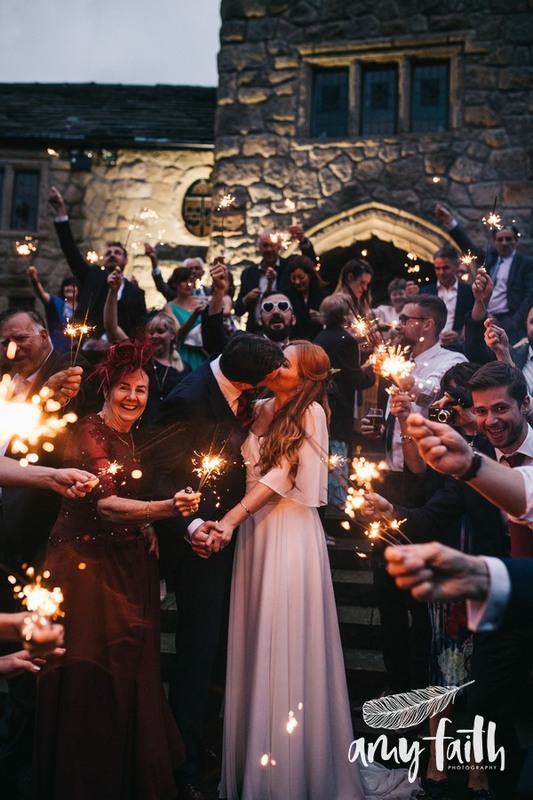 As I mentioned before, drunk people + fire = danger and could easily culminate in singed fringes, burn marks in suits & scorched tongues (all 3 have happened), so safety is key when arranging the sparkler shot of your dreams. 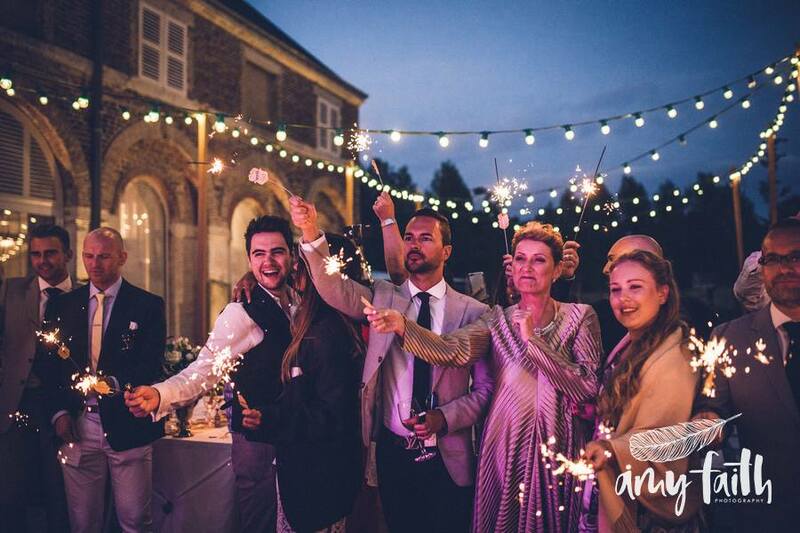 Watch out for where other guests are holding THEIR sparklers! And, for the love of all that is holy, DON’T HOLD THEM IN BETWEEN YOUR TEETH OR PUT THEM OUT WITH YOUR MOUTH. I mean, it looks pretty funny, but you’ll regret it in the morning when you have no gums or tongue and a smile like the Joker. 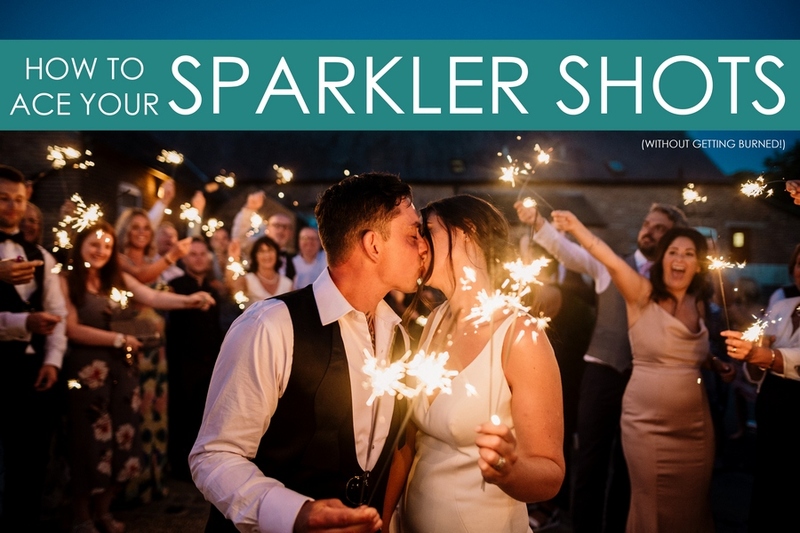 Now you have all the low down, go forth and work that sparkler extravaganza!